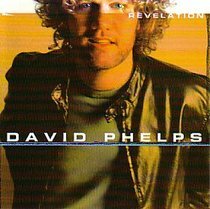 David Phelps is a multi-award winning American Gospel musician who sang tenor in the Gaither Vocal Band for 9 years. David is especially known for being able to stay in high tessitura, and for his very large range.He has produced solo work during his stay with the band and afterwards, he has released 14 albums, including two GRAMMY winners. His most recent albums are One Wintry Night (Christmas Album), Live in Birmingham CD/DVD, Legacy of Love CD/DVD and Life is a Church .